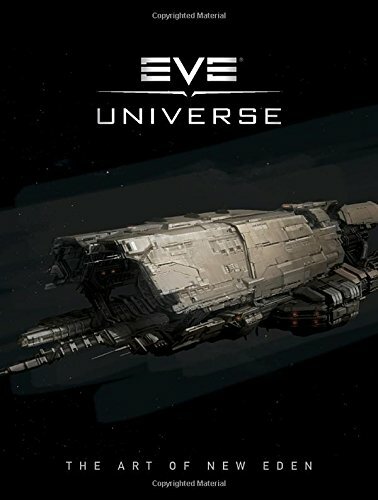 So CCP Games has finally decided to put out the best-of-the-best art for their EVE universe. The first artbook was The Art of EVE, released in 2007. Then there's the companion book EVE: Source released in 2014. EVE Universe: The Art of New Eden is a collection of more than 15 years of artworks from EVE Online, DUST 514 and EVE: Valkyrie. The book's an oversized 192-page hardcover. As with all Dark Horse artbooks, the production quality is excellent. The artworks are wonderfully reproduced and presented. This is a book for fans of the game and sci-fi art. The concept artworks are beautiful. There are sketches, fully painted pieces and also some 3D renders. You'll get to see the mesmerising gas clouds, numerous spaceships and space stations, weapons, environment art, interior art for selected locations and a few pages of character designs. The art, especially the environment art, really brings across the grandiose of space travel. There are many landscape art which I felt could have been printed bigger. Compared to the first artbook, the artworks here look more polished. On the back cover you'll find a quote from me saying all the nice things about the art. That quote is meant for the companion book EVE: Source, not this artbook. It's misleading to use a quote meant for another book here. I had no idea that the publisher was going to use my quote. Anyway, I did not preview this book or get a review copy. I bought my own copy. Overall, it's a fantastic book with great art. Highly recommended.